In a time where the true meaning of Christmas can be lost or misplaced, especially for young children, it is important for my family to remember why it is we have this holiday and what we are really celebrating. Each Christmas Eve night they open one gift: it contains a new pair of pajamas, a mug for homemade hot coco and a new book. This year my children are going to receive books themed for the true meaning of Christmas (as last year they each received Santa books) and I am anxious to read them to my children as we wait to celebrate the following morning! “Where Jesus Slept” is a beautifully illustrated book worded for young children, to tell the story of the birth of Jesus. 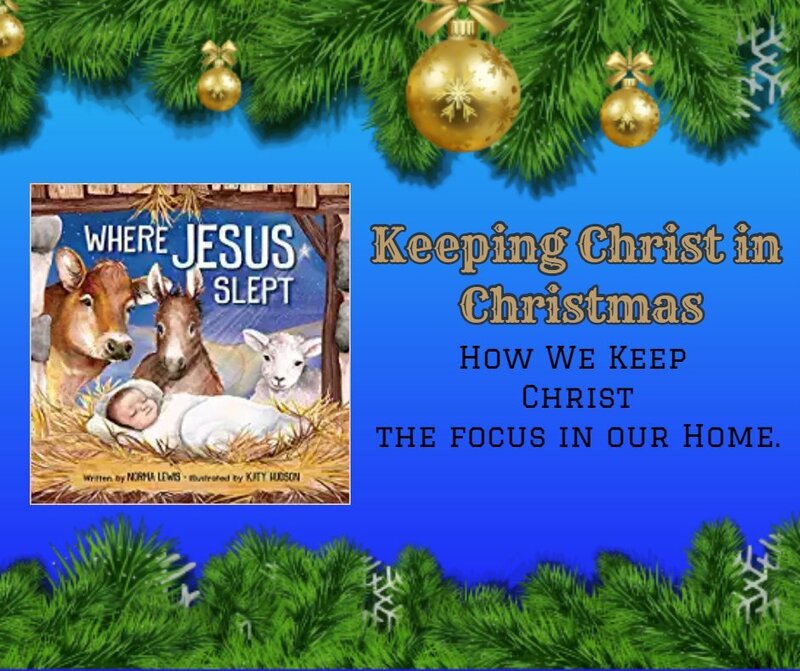 The story is told in a catchy rhyming scheme that invites our babies to discover where Jesus slept on Christmas, and how so many came to adore him. The illustrations are wonderfully done to draw in the attention from all ages. Like so many popular children stories the rhyming scheme in this book it one that is destined to become a favorite; because it is so catchy! The rhythm also allows children to generate a strong willingness to memorize the story and eventually they will learn how to read it on their own if they are not yet reading to themselves! Our Children Need Christ in Christmas! The Christmas holiday has dramatically changed in what is expected and appreciated out of this time of year. Where it was once solely about praising God for the birth of the savior, but about bringing a family together and sharing this magical time with our loved ones! 4) Tons and tons of Christmas storybooks! 5) Have a Gifts for Jesus box! We put strips of paper with things we’ve done for Jesus throughout the season, such as volunteering, helping others, or donating to charity. The above mentioned site contains great way to making this Christmas more about Christ and less about that gift those precious babies want so much!